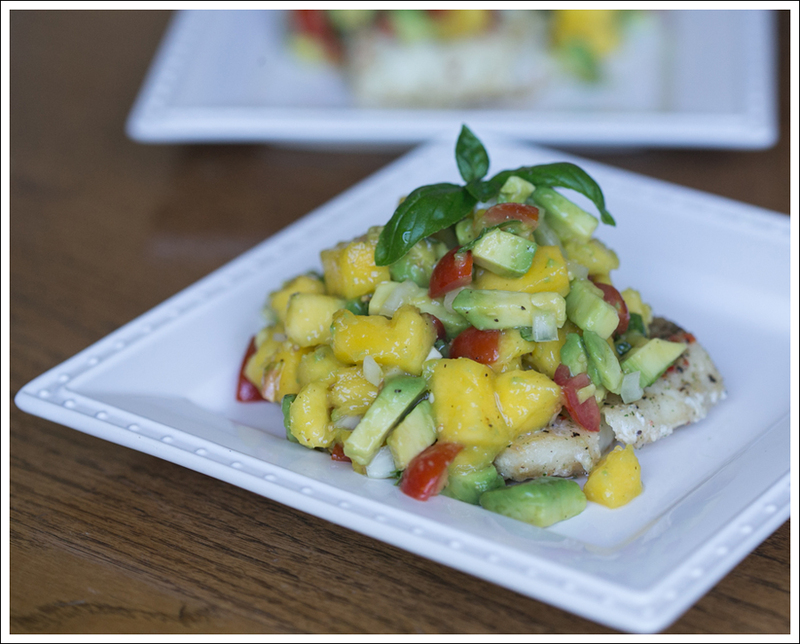 One of my favorite combinations is mango and avocado. It’s refreshing and light, yet filling with the good fat from the avocado. Add in a little goat cheese, drizzle with a balsamic glaze + Olive oil, then toss over arugula, and you have a ridiculously easy and delicious summer salad! Serve over a bed of Arugula or spinach would be great too! Put a few handfuls of Arugula in your bowl. Dice Up your mango, toss them in. Dice up your avocado, toss them in. Crumble your goat cheese over everything. Drizzle with Balsamic Glaze + Olive Oild, and that’s it! 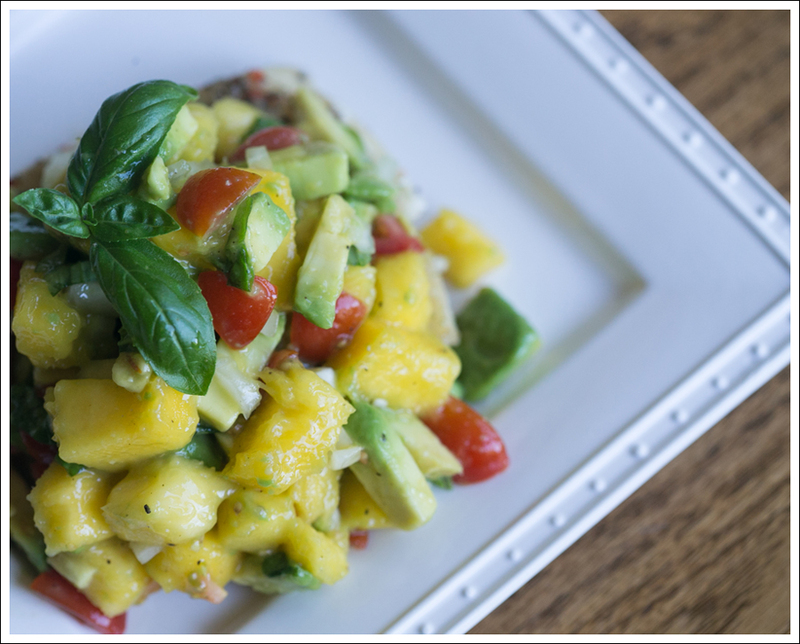 This entry was posted in Food, Gluten Free and tagged avocado, Easy Salad, gluten-free, Healthy, Healthy Eating, mango, Summer Meal, Trader Joe's Finds, vegetarian on May 11, 2016 by laurenkahan. 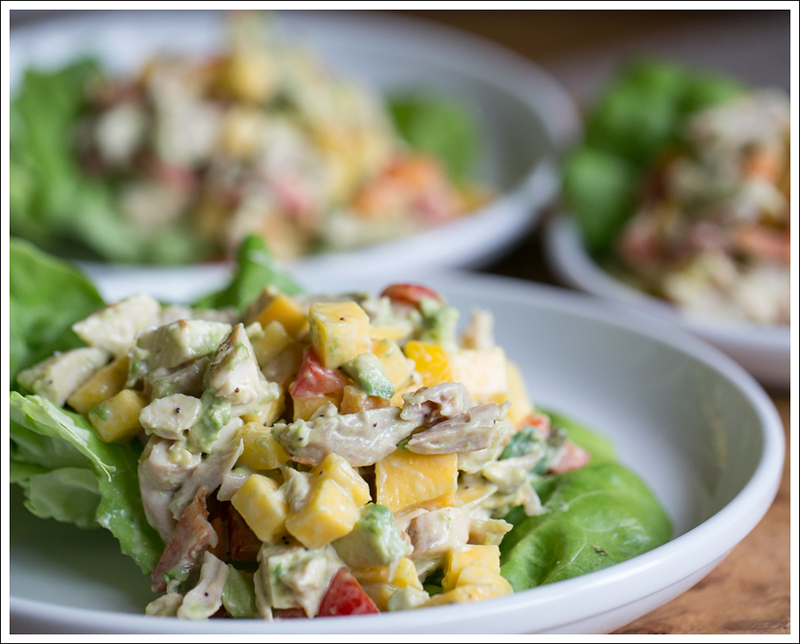 Ok, ok. Just when you think I’ve posted enough mango avocado salad recipes…here’s another one haha. I just can’t help myself. The combination is just so good!! Maya chowed it down, and asked for 2nds! Dressing of choice. I cheated and used a pre-made poppyseed dressing, but you could use either of these paleo friendly recipes Esther has posted. 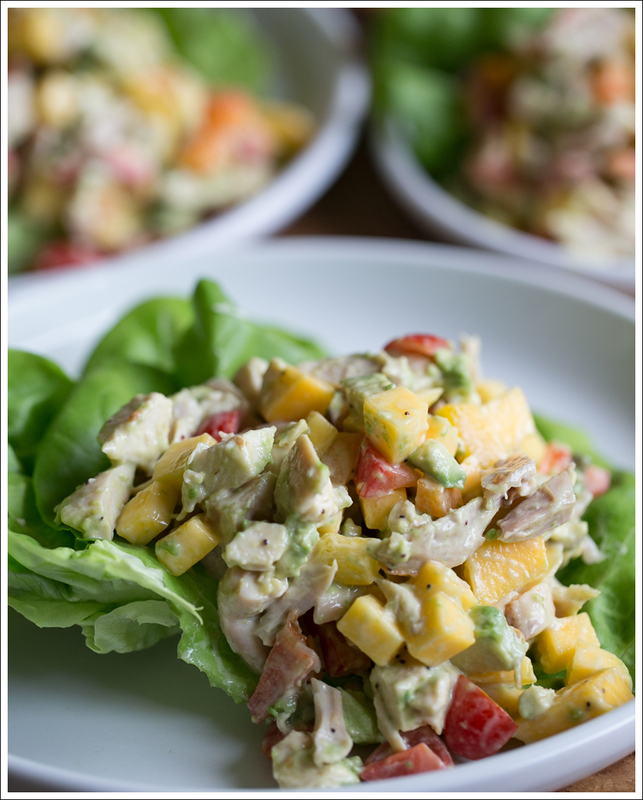 Mango dressing here or Creamy Lemon Garlic Dressing here. Or the Avocado Dressing I posted here. Serve over a bed of butter lettuce. Arugula or spinach would be great too! 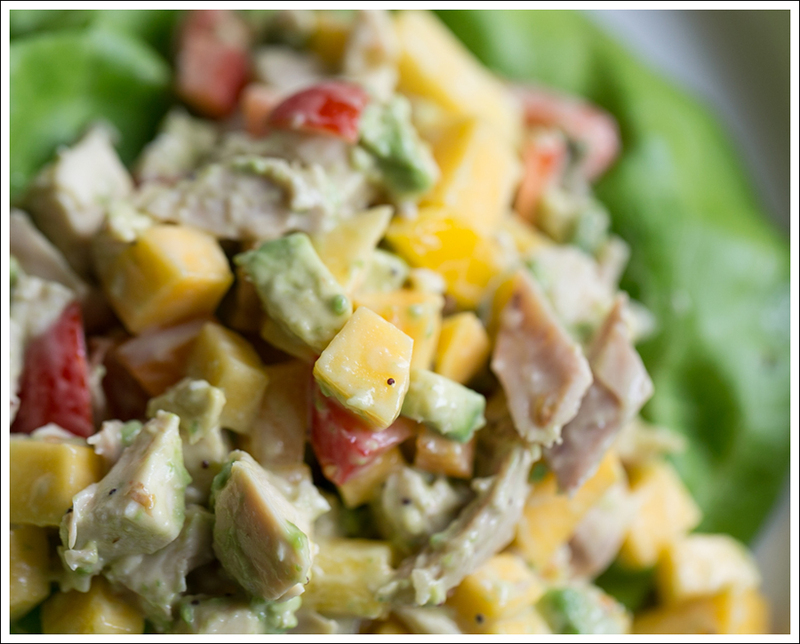 This entry was posted in Dairy and Soy Free, Food, Gluten Free, Paleo and tagged avocado, Chicken Salad, Cooking for Toddlers, gluten-free, Healthy, Healthy Eating, mango, paleo, Summer Meal on June 17, 2015 by laurenkahan. I seriously could eat this salsa on everything! And…when mangos are in season, we do haha. 2 Mangos cut into 1/2 inch cubes. As many filets as you need. Cut everything up and toss in a bowl! Or….if you are short on time, toss everything into a Cuisinart and pulse a few times. Bake fish according to directions and top with salsa. EASY PEASEY!! 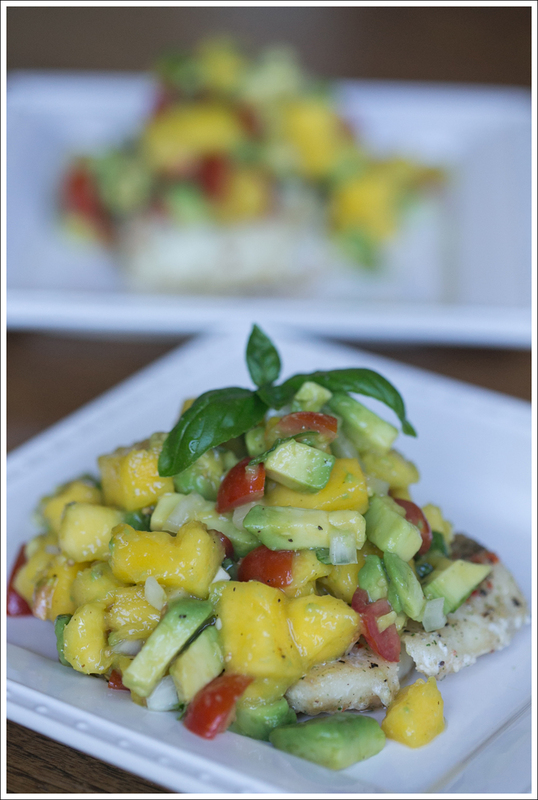 This entry was posted in Costco Hack, Dairy and Soy Free, Food, Gluten Free, Paleo, Whole30 and tagged Costco Dinner, Easy Dinner, fish, gluten-free, Healthy Dinner, Mango Salsa, paleo, Summer Meal, whole30 on June 10, 2015 by laurenkahan.